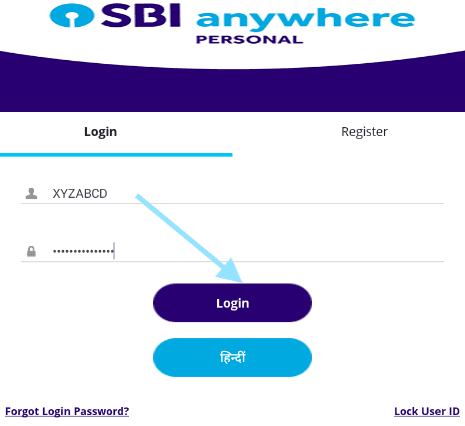 HomeInternet BankingbeneficiaryHow to Add Beneficiary in SBI Anywhere Personal App? 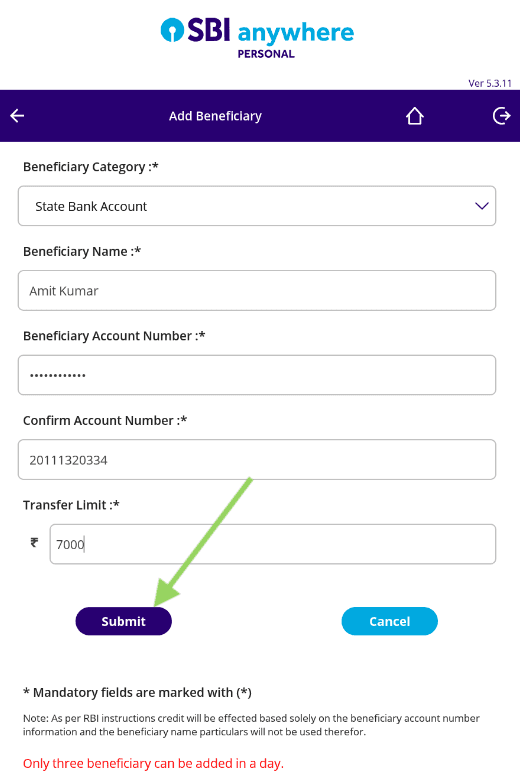 How to Add Beneficiary in SBI Anywhere Personal App? SBI Anywhere Personal is a mobile app introduced by State Bank of India aiming to offer retail banking services to its customers. If you wish to access the retail banking services directly from your mobile with simple steps, you must get it downloaded from your mobile's app store. Users can access this application via their Internet Banking username and password. If you have already downloaded the application on your mobile but are unaware of the steps to use it, you must learn it soon! This mobile application offers incredible benefits to the users. At some time, you may require accessing the fund transfer feature. If you are unaware of the usage, you have to visit the bank branch or the ATM to transfer the fund. With this app, you can easily transfer funds to another account with just a few clicks on your mobile. 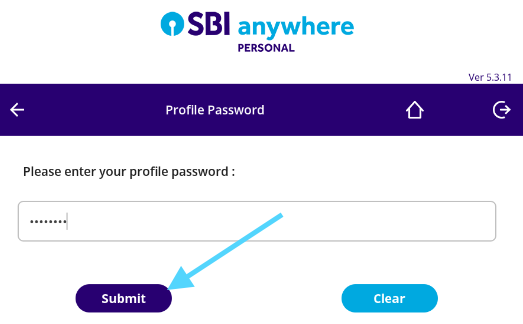 First of all, you must add the beneficiary to the sbi anywhere app. If you are acquainted with SBI Internet Banking services, you must be aware of the requirement of adding a beneficiary. 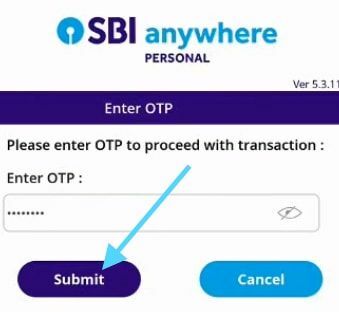 For transferring money from sbi to other bank online, you need to add bank account as the payee first! 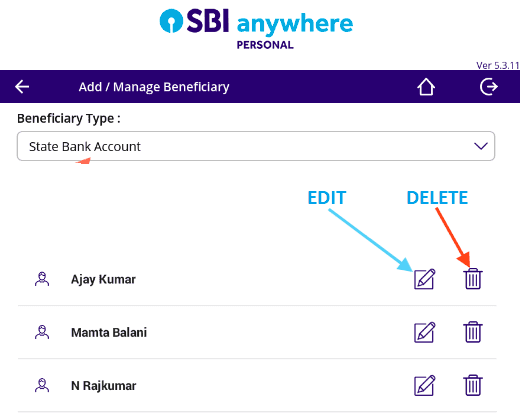 On this page, you can learn how to add a beneficiary in SBI Anywhere Personal App. Step 1: Open the app on your mobile and log in with your Internet Banking Username and Password. Step 2: Tap on the Fund Transfer tab visible on your mobile screen. 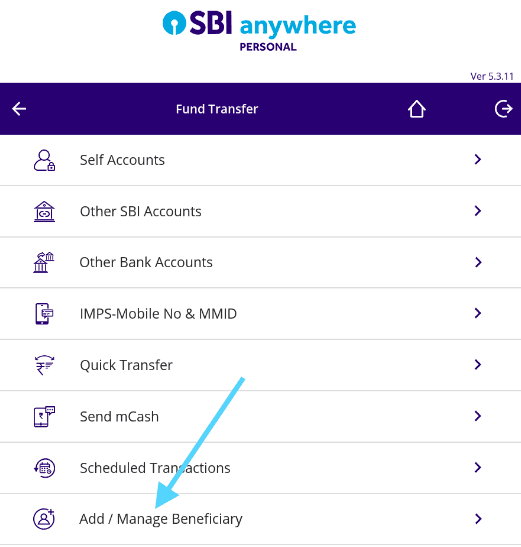 Step 3: You will get directed to a new page featuring different tabs, i.e., Self Accounts, Other SBI Accounts, Other Bank Accounts, IMPS-Mobile no & MMID, Quick Transfer and Add/Manage Beneficiary. You need to tap into Add/Manage Beneficiary. Step 4: Now another screen will appear requesting to enter your profile password. After entering the Profile Password, click on Submit. Step 5: Now you need to select the beneficiary category. If the beneficiary account you wish to add is SBI then simply select State Bank of India and if the beneficiary account is from other banks, select Other Bank Account. The next step is to add a beneficiary. Tap on the '+' icon visible on the screen. Step 6: If the beneficiary account is from State Bank of India, enter the person's name, account number as well as the transfer limit and click on submit. Step 7: For confirmation of the transaction, you will receive an OTP password on your registered mobile number. You need to enter the OTP in the specified box and submit. After providing all these details of the beneficiary, you need to confirm this on the next screen. You will receive the OTP on your registered mobile number. Enter the OTP in the provided box and click on Submit. Activation process takes some time. After successful activation, you can transfer fund to the added beneficiary account. Editing or deleting beneficiary from the list Deleting or editing Beneficiary account and the transfer limit is also easy! To edit/delete the added beneficiary account, select the account type, and you will get the list of the added beneficiaries. You need to select the icon Edit or Delete visible beside the beneficiary account. As per your requirement, you can either edit the beneficiary account details or delete it. Download the app and make instant fund transfer to the beneficiary. You must follow the steps without any error and must enter the username and password precisely. 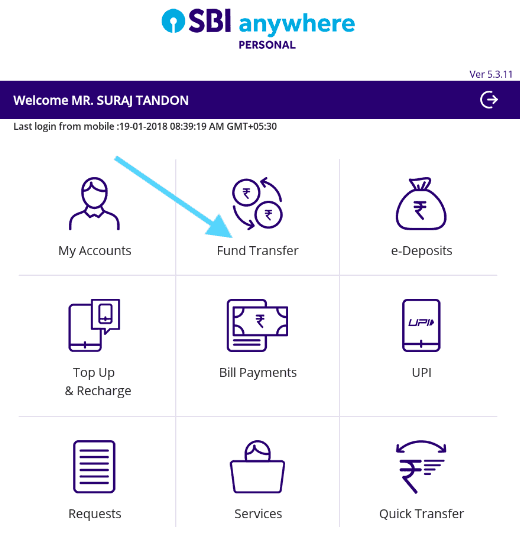 Adding the beneficiary in SBI Anywhere Personal App, you can easily transfer fund with few clicks on your mobile screen. No need to open the SBI online browser for Internet Banking for transferring fund! 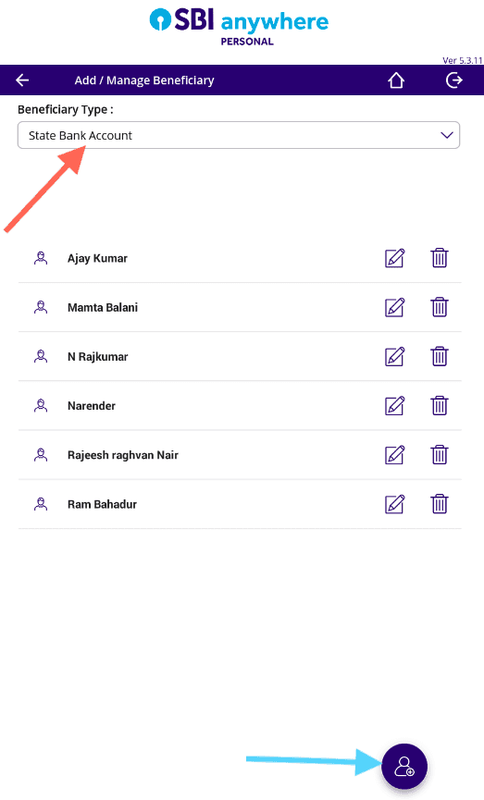 What is SBI YONO App, YONO Full Form & Its Features? What is The Type of Passport Booklet in India?